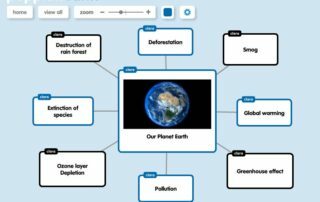 Popplet is a tool that allows users to visualize ideas. Teachers and students can create mind maps, timelines, and many other forms of visual organisation. Students test their knowledge and find out about the UK: its culture, customs, history, geography, literature, etc. 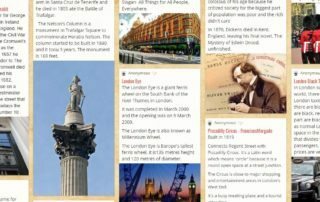 Furthermore, students write about London sights. 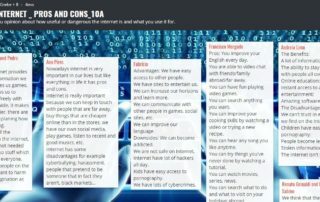 Students analyse the importance of the WWW in today's world and write reflections on it which they share with the whole class on a padlet prepared by the teacher.